Two-row cylindrical roller bearing NNU49/900MAW33 has additional radial load-carrying capability compared to single row cylindrical roller bearing.It designed to ISO Specified interchangeable dimensions. Sold as complete assembly. 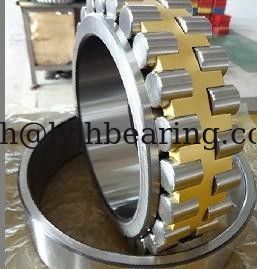 The cylindrical roller bearings NNU49/900MAW33 has outer rings with solid ribs and lubrications grooves and holes on outer rings, one solid brass cage,used in cement grind mill. JinHang Precision Bearing mainly export precision cylindrical roller bearing Timken NNU49/900MAW33 Bearing and relative products, we have huge stocks for NNU49/900MAW33 bearing and relative items, Also if ex-stock, the best deliver time about 15-20 days. we produce the bearings along with the technical data or relative drawings, It's priority to us to supply best service to our clients. If you are interested in NNU49/900MAW33 Bearing, please email us :lyjh@lyjhbearing.com so we will contact you directly. Thanks for your trust!